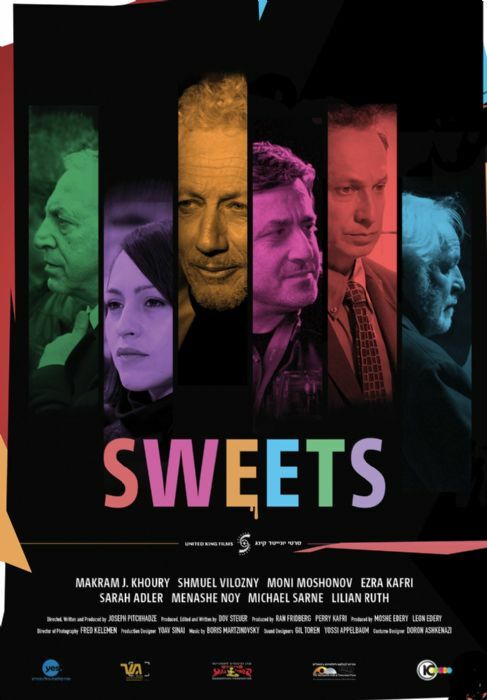 Salah, an Israeli-Arab enterpriser, strives to bring happiness for the children of the Arab sector in Israel by opening a new chain of candy stores. "The Firm", an Israeli corporation headed by Klausner , that controls Israeli candy market, resent Salah on his former business move - taking control over the Israeli market of Turkish coffee. Klausner sees the new business initiative of Salah as a real threat, not only a business one but also a cultural and a political one, even a real challenge against Zionism itself. In a disguise of a Business struggle the story reveals moral dilemmas and a cultural struggle: the Arab businessman trying to integrate in Modern Israel against the dominant Zionist culture, while Salah's Russian wife, his French brother-in-law, his German partner, and the French lover of the German partner manifest the fact that the struggle does not take place in a vacuum but in a complicated multinational reality. The struggle for control of the candy market is deteriorating rapidly into a brutal violence that ends in a futile bloodbath.